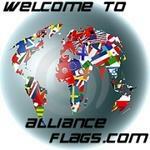 Alliance Flags is your online flag source for sports, worldand more. Purchase your flag or banner. Big Muddy Outdoors is your top choice for hunting and fishing equipment. Offering over 15,000 Licensed NFL, MLB, NHL and NCAA products. An on-line cycling adventure tailored to the advanced to beginning cyclist or triathlete. Thousands of vinyl car decals for all occassions. Gooddens.com offers high end sunglasses and sporting goods at a great price. Check us out today! Large selection of trophies and awards for all sports. Hacker Helper is a leading Retailer and Wholesale Distributor of Golf Equipment and Accessories. Manufacturer and distributor of fine marine seating products. Would you like to be a BBQ Champion at your house? HomeBBQ.com offers the products you need. Shop online with KnKFishing.com, for all your fishing tackles. The Nation's Finest Western Stores since 1919. The #1 New York Sports Fan Website, PERIOD!